There’s no question that I want to go to Harvard. Even at my age. If nothing more than to take Shelley Carson’s course, Creativity: Madmen, Geniuses, and Harvard Students. This is a woman who loves to teach. And is a Rockstar at it. That much I know is true after reading her instructive and interactive book, Your Creative Brain. There are dozens of books on creativity. Most focused on demystifying it. And many lacking in some area. This book also focuses on uncovering the riddle that is creativity, but it does so in a fresh, concrete manner: with a deep dive into the brain—or the neural functions of the brain that contribute to creativity. Carson asserts that each of us can stimulate creativity in ourselves by zeroing in on the creative source or neural function where we, personally, need a boost of juice. And, you got it, Carson gives us a bunch of fun quizzes early on to determine our mental comfort (and discomfort) zones. I enjoyed this book for a few reasons. First, Carson writes with us in mind—the reader. She wants us to learn. But she also wants us to have fun doing it. And Your Creative Brain is an entirely insightful and delightful read. Second, it was a blast to revert to early biology and psychology coursework—i.e., the stuff I forgot. Carson takes us deep into the human brain—the various parts and their cognitive functions. There’s plenty to geek out on in these sections. Finally, Carson gives us hands-on exercises aligned with each Brainset that are designed to boost our brainpower. These aren’t boring ol’ brain games, these are fun stuff! Like trying an entirely new food each week—choosing a recipe, purchasing the ingredients, preparing the dish and reflecting on the experience from a multisensory and multicognitive perspective. Why? 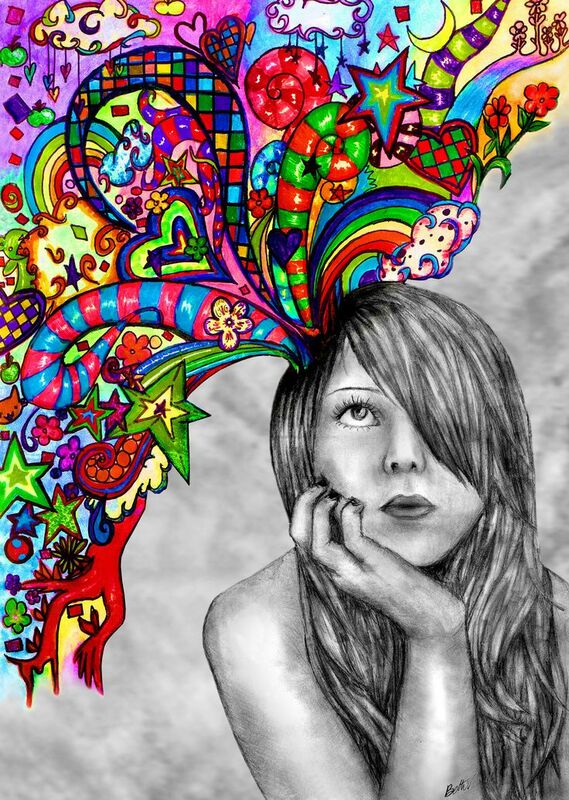 To condition your mind to be open (i.e., nonjudgmental) and receptive to new ideas and new connections—especially those originating in your unconscious. I rarely purchase books anymore. I have too many (IF that’s even possible.) 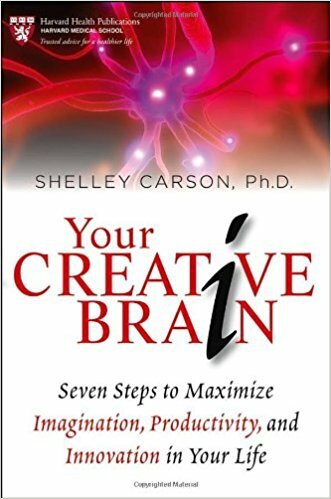 But I’m going to purchase Your Creative Brain by Shelley Carson—it’s just too informative, too useful, and too much fun not to. And while I’m reading and re-reading it, I’m gonna figure out a way to get myself a front row seat in her Harvard class next semester.